8 September 2017, Astana – The Republic of Kazakhstan today announced plans to bring wild tigers back to their historical range in the Ili-Balkhash region, and signed a memorandum with WWF to jointly implement a tiger reintroduction programme. “Kazakhstan is moving along the path of green development. We are honoured to be the first country in Central Asia to implement such an important and large-scale project, that not only will bring wild tigers back to their ancestral home, but also protect the unique ecosystem of the Ili-Balkhash region,” said Askar Myrzakhmetov, the Minister of Agriculture of the Republic of Kazakhstan. The signing ceremony took place in the pavilion of the Kingdom of the Netherlands Embassy in Kazakhstan within the framework of EXPO-2017, with the participation of the Minister of Agriculture of the Republic of Kazakhstan Askar Myrzakhmetov, WWF International Director General Marco Lambertini and WWF-Russia Director Igor Chestin. “I am proud to witness the signing of the memorandum between the Ministry of Agriculture of the Republic of Kazakhstan and WWF here in the Pavilion of the Netherlands at EXPO 2017. The Netherlands was one of the first supporters and sponsors of this bold and innovative project, and we are excited to be part of this key milestone today,” said Dirk Jan Kop, Ambassador of the Kingdom of the Netherlands in the Republic of Kazakhstan, in opening the signing ceremony. 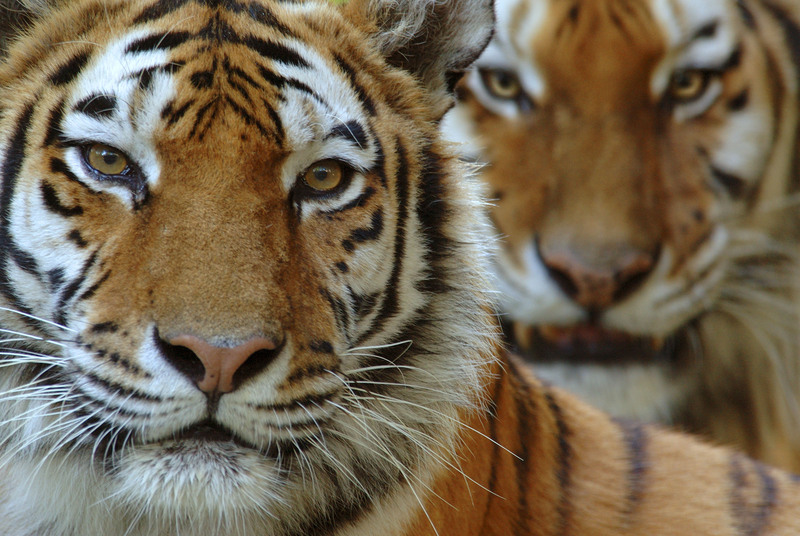 Kazakhstan’s tiger programme will contribute to Tx2 – the global goal to double the number of wild tigers by 2022, a commitment made by tiger-range governments at the St Petersburg Tiger Summit in 2010. If successful, Kazakhstan will be the first country in the world to bring wild tigers back to an entire region where they have gone extinct for nearly half a century. Tiger relocation projects have only been achieved within national borders and in areas that are considered current tiger habitats. Kazakhstan’s tiger reintroduction programme is unique and unprecedented and it requires the restoration of a vast riparian forest that is part of the wild tiger’s historical range. “We applaud the Republic of Kazakhstan for the vision and leadership shown in embarking on a most ambitious and exciting conservation challenge to bring back this majestic predator to the country. This is a major contribution to securing a future for tigers in the wild and also a critical step toward protecting the Ili-Balkhash region for its unique biodiversity and important natural systems that people rely on,” said Marco Lambertini, Director General of WWF International. To prepare for the return of wild tigers, on 1st January 2018 the Government of Kazakhstan will establish a new nature reserve in the southwestern Ili-Balkhash, in order to restore the unique riparian forest habitat that is adjacent to Lake Balkhash. This will include the protection of existing wildlife, and reintroducing important prey species, such as the endangered kulan (wild donkey) and Bactrian deer that are native to Central Asia, but now extinct in Kazakhstan due to poaching and habitat loss. Restoring tigers will also help protect Lake Balkhash - one of Asia’s largest lakes and an important source of water in the Ili River basin - and prevent it from repeating the fate of the Aral Sea, formerly the world’s fourth largest lake and now 10 per cent of its original size. “Thanks to years of close collaboration between Kazakhstan and Russian conservation experts, we have now identified the best possible territory in Ili-Balkhash for the restoration of a thriving wild tiger population. Our continued cooperation will be key in the successful creation of a new reserve, the restoration of rare native species and, in a few years’ time, achieving an unprecedented transboundary relocation of wild tigers to Central Asia,” said Igor Chestin, Director of WWF-Russia. Since the beginning of the 20th century, wild tigers have lost over 90 per cent of their historical range, which included Central Asia (modern Turkey and Iran to northwestern China). Wild tigers have completely disappeared from the region since the late 1940s, due to poaching, and the loss of key floodplain and coastal habitats. “The hard work remains ahead of us. 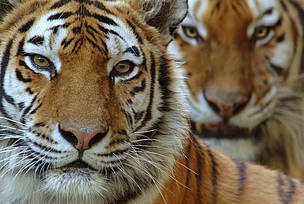 We have to up our efforts to make this region ready for tigers and involve all stakeholders to make this happen. That means tackling poaching and illegal activities, having well-trained and equipped rangers, thriving prey populations and engaged local communities,” said Ekaterina Vorobyeva, Director of WWF-Russia Central Asia programme.